The Thrifty Groove: Fun at the Beach and a Giveaway! Fun at the Beach and a Giveaway! I am home from vacation! We had a great time but, now I feel like I need another vacation that involves a laundress, gardener, housekeeper, personal assistant, cook, nanny, and well, anyone else that would make my life easier! Oh and a masseuse would be greatly appreciated! I wrote the following post last week at the campground. I may not have had internet access but, I sure do love my Live Writer! We are camping along the shores of Lake Huron with friends and family right now. Everyone is having a lot of fun. Everyday we spend time at the beach. The weather has been absolutely perfect! The day we left home, a package arrived and I am so glad I opened it up before I left! It was a perfect gift from one of my sponsors. The timing was great! The awesome folks at Carmex sent me this wonderful beach blanket along with several of their new lip balms to try! Check out this nice beach blanket! It has a soft comfy fleece on one side and a nice waterproof liner on the back side. Oh, we are getting plenty of use out of this! And Carmex has come out with two new wonderful flavor moisturizing lip balms. Both have sunscreen SPF 15, another must for the beach! First we have Lime Twist Ultra Moisturizing lip balm. And the other great flavor is Vanilla Ultra Moisturizing lip balm. Both of these came in so handy this week. And were used everyday! It seems like whenever I go camping, my lips dry out. I don’t know if it because the air is different or the water is but, I am forever putting on lip balm. And these new Carmex lip balms are fantastic! The princess loves the Lime! We were so amazed at how few people were at the beach. The campground was completely packed, yet it always felt like we had the beach to ourselves. And it is a huge beach! After a couple of days of fun in the sun, the little princess had to wear a shirt. No more sun for those cute shoulders! My little water bug! I swear, this child would start out the morning in the water and would not come out until I physically dragged her out! This beach blanket is where I spent many hours watching the water bug have the time of her life. She had her Big girlfriends (pre-teen daughters of our friends) out there playing with her and she was in Heaven! The wonderful people at Carmex want to send one of my readers this same fun gift pack! You will get this great prize pack! Leave a comment telling me where you like to spend your vacation. Leave a separate comment for each of the above! I want to thank Carmex for this wonderful gift pack! The beach blanket was used everyday and the lip balm is terrific! They really are the best I have tried! Disclosure: I received the gift pack above and one of my readers will receive the same. I received no other compensation. all opinions are completely my own! I like to spend our vacation in the mountains. We live in Florida where everything is flat, so the mountains are a wonderful change of scenery. I love seeing the Princess having so much fun! Love that beach blanket and lip balm. Great gift. I'm wanting a beach trip so much!!! Florida or even the Ga coast would be fine with me! I am a happy follower and glad you are home from you vacation. I always feel like I need a vacation after my vacation also. We are going to a B and B in Eureka spring Arkansas so that will be fun! Never been to one before. Please count me in on the giveaway, thanks! I am a follower, but I don't do all those other things, Facebook, etc. Looks like you had lots of fun. Thanks for the giveaway. I'm a follower. My favorite vacation spot is Hollywood Beach, Florida where I have been going since I was a kid. The beach is so clean and there's a broadwalk with lots of shops and places to dine as you look out at the ocean. If I win this giveaway it would be put to good use there. Sign me up!! Your vacation looks wonderful ~ so glad you had a great time. I'm also a follower on FB. I've liked Carmex on FB! Ooooh pick me! Pick me! I'm a carmex addict! 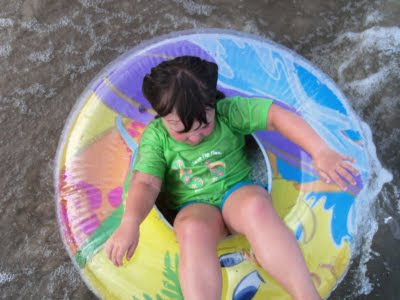 We love to vacation at the beach too, so much fun stuff to do! Long ago we spent most of every summer at the beach in Caseville. Haven't been there in a few years but we have alot of good memories! I liked Carmex on Facebook and left a message that you sent me! I would like to have a vacation by a beach like this one. We do not have any beaches anywhere near us. Great giveaway! The lime lip balm sounds so nice. I am hoping to get to the beach in October. Really looking forward to it! We love to go to Panama City Beach. I like to travel to our hometown and see phamily but during the cooler autmn months we plan to spend a few long wekeends visiting Makrus at some of his football games nearby. He is our youngest daughters boyfirend and plays football for Western State COllege. Thankf or including me in this cool giveaway! I like the Thrifty Groove on Facebook too! I am a facebook friend!! I have been and am a follower of the thrifty grove!! i "liked" carmex on their facebook site!!! We spend out vacations in Jamaica. I could sure use this stuff there. I follow you! and love it! My favorite place to go on vacation is Canaan Valley, West Virginia. I just love it there! Even though it is just 4 hours from where I live I can't get enough of it! Please enter me again! I'm already a follower! I love visiting family in Georgia and the New Orleans area. I follow The Thrifty Groove on Google Friend Connect.